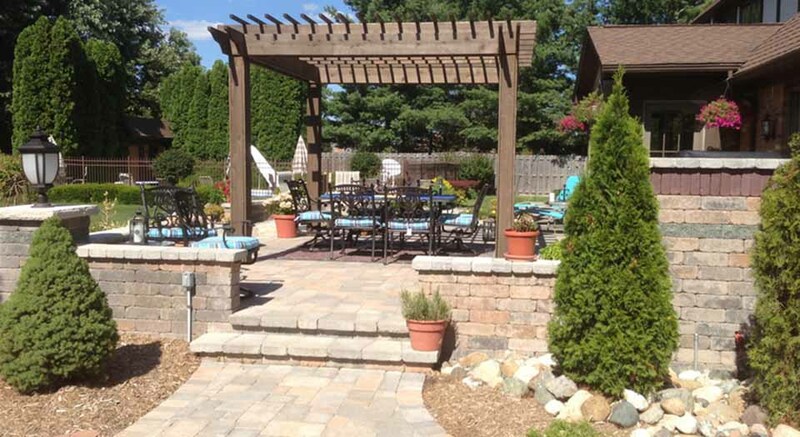 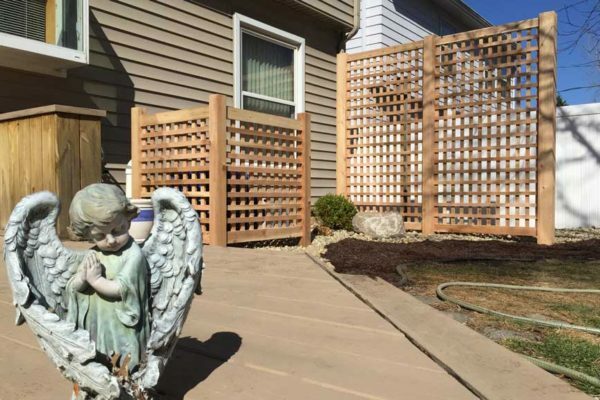 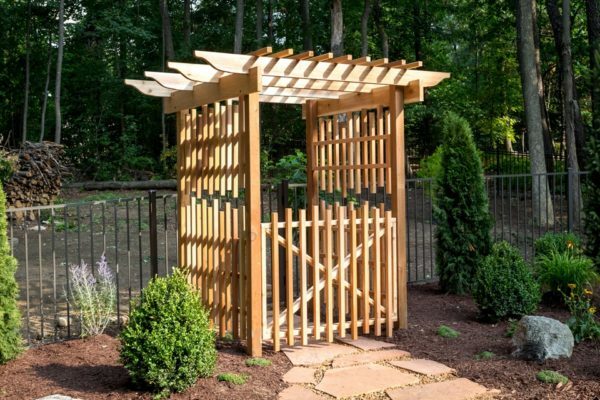 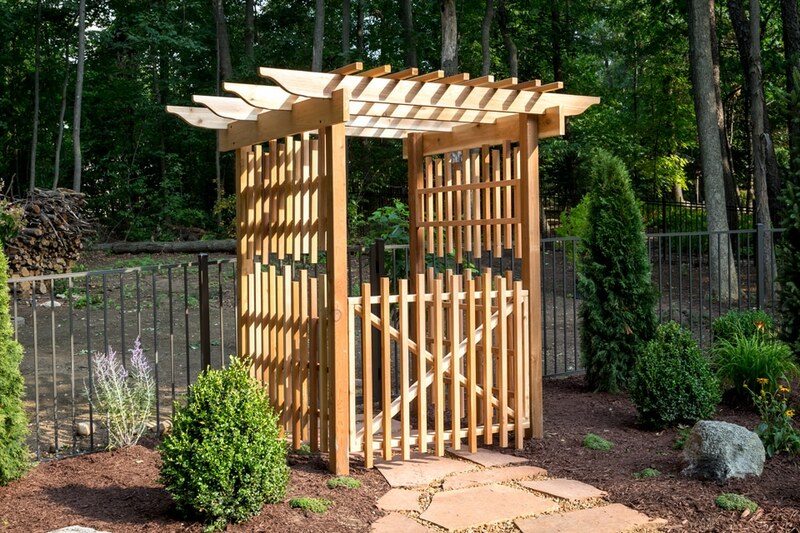 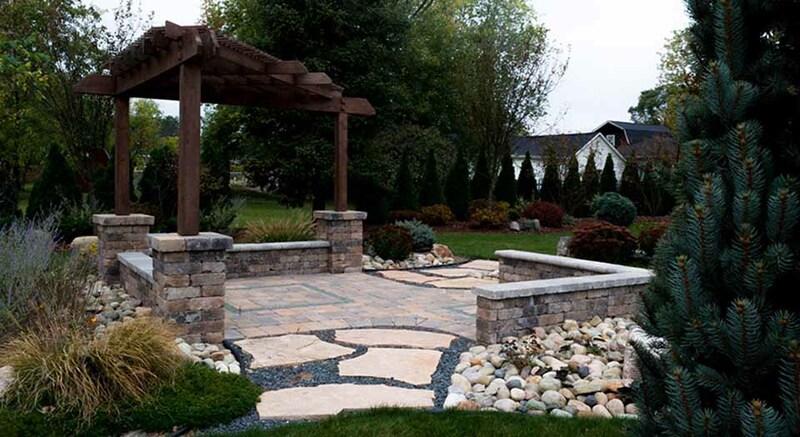 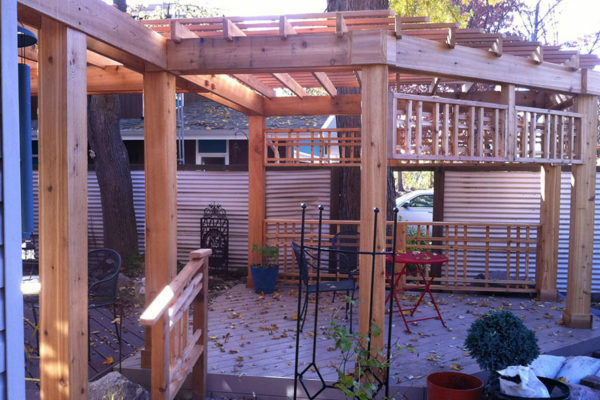 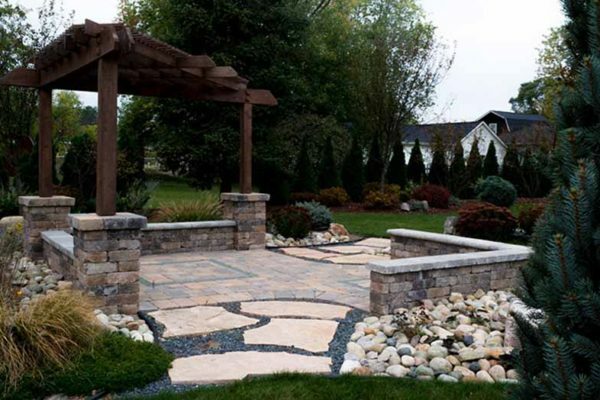 Add a custom built cedar or treated pine Pergola to expand your outdoor living space. 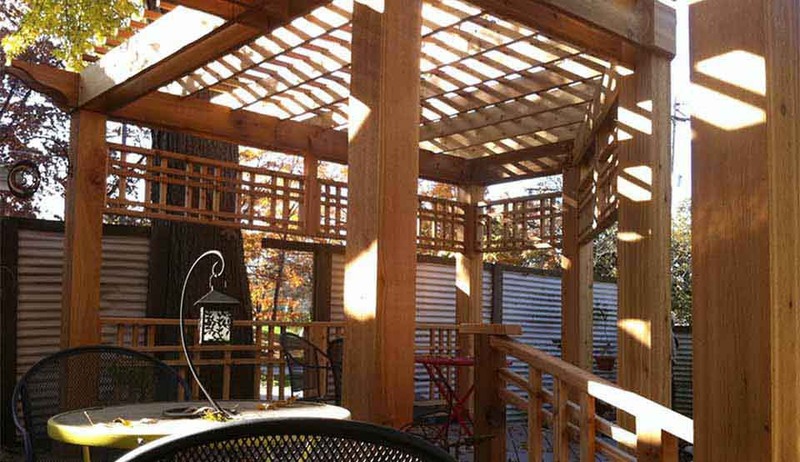 The columns help create the feeling of an outdoor room, while the roof offers shade and a place for vines to grow. 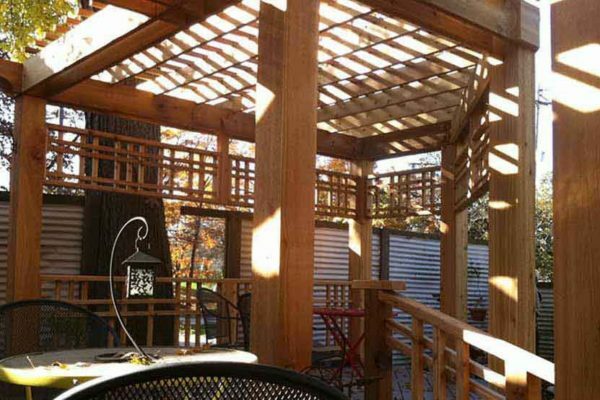 The roof of the Pergola also offers a place to mount low voltage landscape lights. 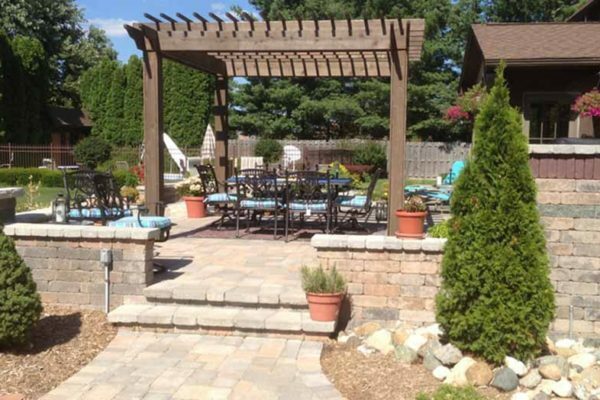 These lights can illuminate a dining table, which extends the enjoyable hours of their outdoor living space. 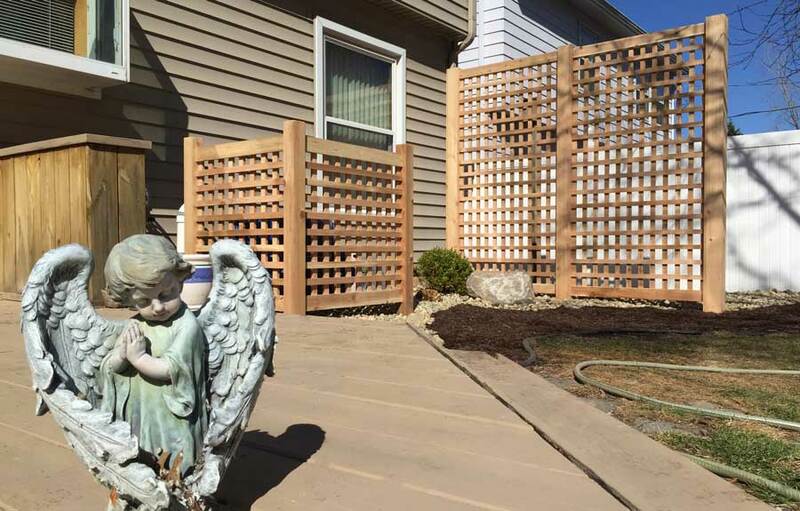 Clients tell us they can now enjoy being outdoors during the hot afternoon sun, thanks to the shade their Pergolas offer.